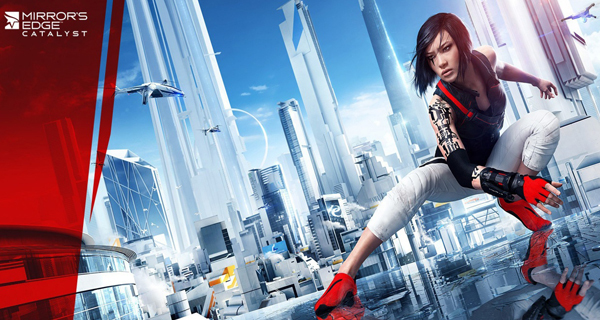 A few months ahead of its May 24th release, an announcement from Electronic Arts and DICE through the game’s official Twitter account confirms that a closed beta is slated to happen for Mirror’s Edge Catalyst. Although an exact date and time has not been announced yet, EA has opened what seems like an early registration for people to get a chance to join the closed beta. If you’re interested to join you’ll need to have an EA account. You can easily create one HERE. The Mirror’s Edge Catalyst closed beta will be open to Xbox One, PlayStation 4, and PC via Origin. EA also included the game’s story trailer in their announcement, giving players a sneak peek on the game’s background story and its female protagonist, Faith Connors. Mirror’s Edge Catalyst features the return of Faith Connors, one of the city’s best Runners, as she fights for the city of Glass (and for herself), facing the evil Gabriel Kruger and the city’s Conglomerate. The game is known for its fluid movement and combat through the use of parkour. Stay tuned for further announcements on the Mirror’s Edge Catalyst closed beta!